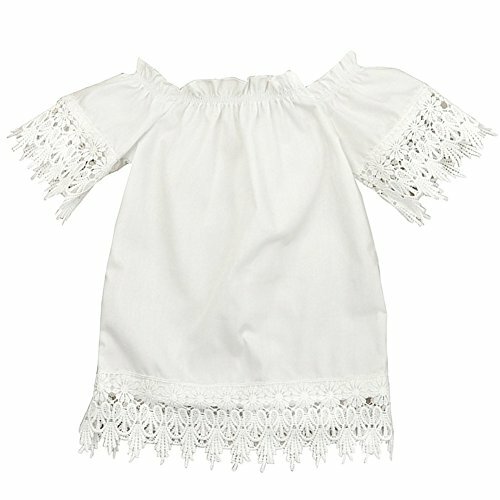 Size Information 100(3-4years old) Shoulder 9.8" Bust 21.5" Sleeve 7.8" Center Back Length 23.4" 110(4-5years old) Shoulder 10.1" Bust 22.6" Sleeve 8.6" Center Back Length 25.0 120(6-7years old) Shoulder 10.5" Bust 24.2" Sleeve 9.4" Center Back length 26.1" 130(8-9years old) Shoulder 10.9" Bust 25.7" Sleeve 10.1" Center Back Length 27.7" 140(10-11years old) Shoulder 11.3" Bust 26.9" Sleeve 10.9" Center Back Length 29.3" 150(12-13years old) Shoulder 11.7" Bust 28.5" Sleeve 11.7" Center Back Length 30.8" About Size The ages are for reference only, please compare the size details with yours before purchasing. There do exist 1-2 cetemeter differences because of different measuring methods. Please check the size info carefully.Thank you for your understanding. (1 cm=0.39 inch) Garment Care Hand Wash, Drip flat drying in the shade, Do not tumble dry, Do not bleach. 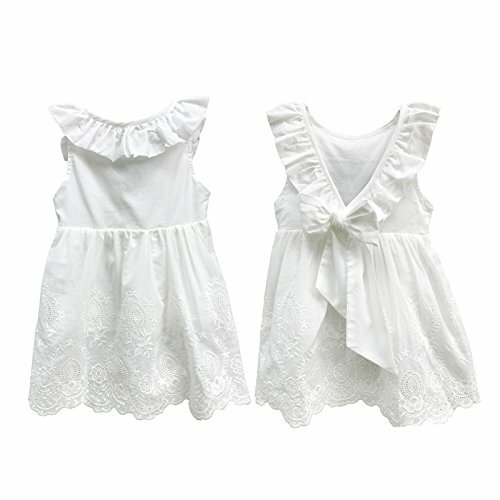 Item: ★ New with High Quality ★ Material: Soft Cotton ★ Condition: Brand New ★ Season:Summer ★ The size is for 1-7 Years ★ If child is heavier or stronger, please consider to choose bigger size instead suggested size ★ Please allow 1-3cm differs due to manual measurement, All measurement in cm and please note 1cm=0.39inch Package include: 1 *Girls dress Note: 1:As different computers display colors differently, the color of the actual item may vary slightly from the above images. 2:Size chart is for the general child size, if your child size is higher than others child, please carefully refer this chart 3:please allow 1-2CM mistake due to manual measurement. Thanks for your understanding. Note: Before ordering, confirm the detailed size or consult us. Please Allow A Little Error Due To Measurement Method Is Different. Color Differences Allowed For Light Effects. 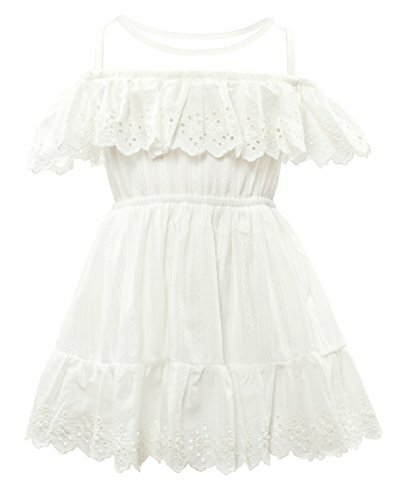 Size Chart ( inch / cm ) 18-24 Mths: Bust 20.47''/ 52cm Waist 17.32''/ 44cm Length 16.54''/ 42cm 2-3 Mths: Bust 22.05''/ 56cm Waist18.90''/ 48cm Length 18.50''/ 47cm 3-4 Mths: Bust 22.83''/ 58cm Waist 19.69''/ 50cm Length 20.08''/ 51cm 4-5 Years: Bust 23.62''/ 60cm Waist 20.47''/ 52cm Length 21.65''/ 55cm 5-6 Years: Bust 24.41''/ 62cm Waist 21.26''/ 54cm Length 23.23''/ 59cm 6-7 Years: Bust 25.20''/ 64cm Waist 22.05''/ 56cm Length 24.41''/ 62cm Including: 1 x Dress Condition: New with tag Material: Cotton Dress Length: Knee Length Sleeve Length: Sleeveless Collar: O-neck * If you are not satisfied with your purchase, please email us, we will try our best to help you to solve the problems. 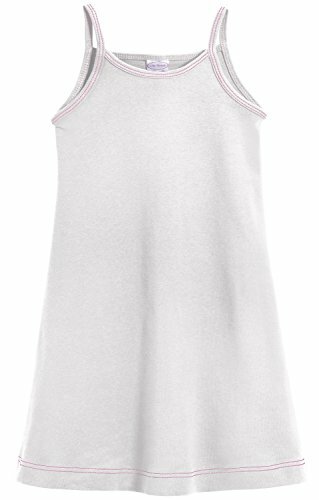 Cielarko is an innovative brand, keen to provide Safe, Comfortable, Simple clothing to kids. 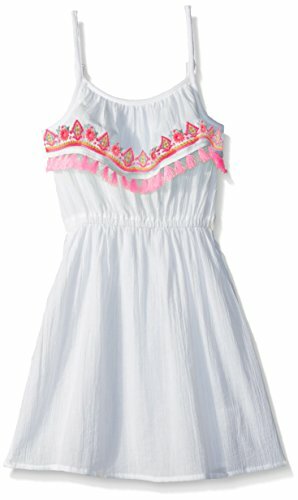 These dresses are designed to look adorable and be comfortable to play in. 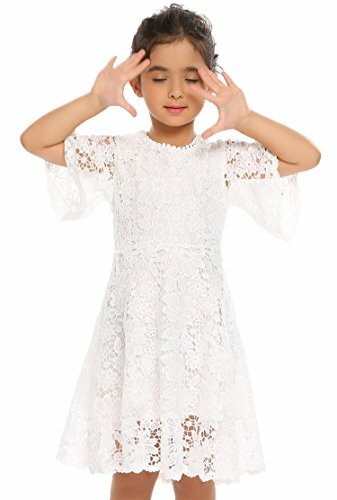 The colorful design will make any child look beautiful. 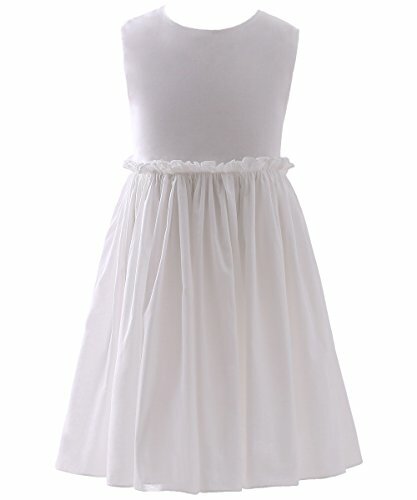 Perfect for special occasions or for casual wear. We strive for our customers to be 100% satisfied with their purchase. 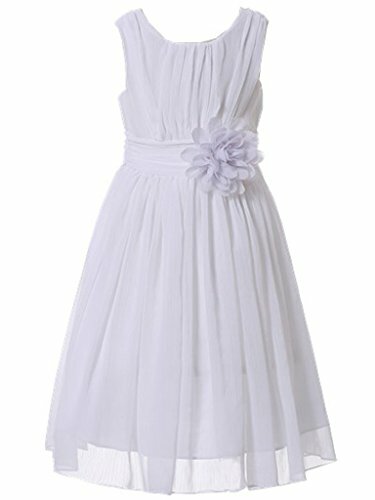 Material:100% Polyester Package Content:1x Dress Size Chart 2T: Age---2Y Bust---22.1¡¨, Length---20.5¡¨ 3T: Age---3Y Bust---23.6¡¨, Length---22¡¨ 4T: Age---4-5Y Bust---25.2¡¨, Length---23.6¡¨ 5T: Age---5-6Y Bust---26.8¡¨, Length---25.2¡¨ 6T-7T: Age---6-7Y Bust---28.3¡¨, Length---26.8¡¨ Our size is true to size, we use US size, if your little girl is taller pls choose one size up . 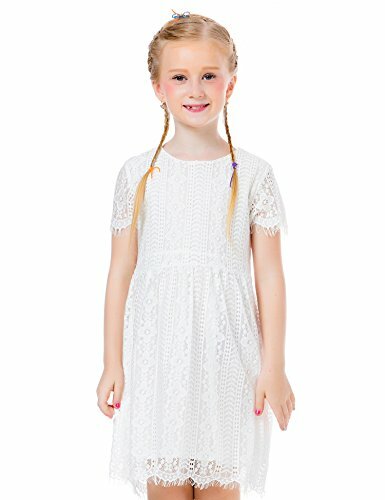 Copyright © Wholesalion.com 2019 - The Best Prices On Girls White Summer Dresses Online.